Here at Certified Drain Services, we can provide a complete range of drainage services to suit our clients’ needs. Our experienced team specialise in delivering CCTV drain surveys in Chelmsford to all kinds of properties. Whether you’re experiencing issues with your domestic, commercial or industrial property, our team are here to help. We can even provide comprehensive home buyer’s surveys to help you avoid any nasty surprises when you’re purchasing a property. Our experienced team utilise the very latest in CCTV drain survey technology. We can quickly and easily identify any issues that your property might be suffering from. Our drainage specialists can provide a comprehensive report of your system’s quality. We will be able to identify any issues your system might be suffering from. How Does a Drain Survey Work? Using the latest in industry-leading technology, our drainage experts will conduct a thorough investigation of your property’s drains. We will insert a small and easily manoeuvrable CCTV camera into your drains. From there, our professional team will guide it through the system, identifying any issues or concerns as we move through. Wear and Tear on the Pipe’s Inner Lining. We will provide a thorough and detailed report of your drainage system. If required, our engineers will talk you through the report and help you to understand the next steps. In most cases, this will involve drain clearance and drain repairs. If your system has suffered serious damages, it is possible that some drain pipes may need to be relined, or even replaced. 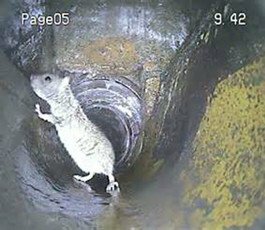 How Long Do CCTV Drain Surveys in Chelmsford Take? 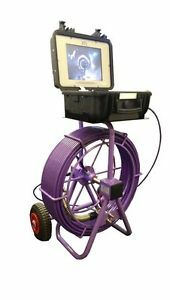 Most CCTV drain surveys can be completed in around an hour. However, this can depend on the size of the drainage system and how easy it is to access. The more issues there are with a drainage system, the longer the survey will take. 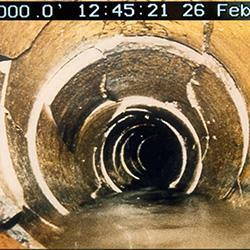 A blockage or collapsed pipe, for example, can impede a survey. This can cause the survey to take longer. In some cases, it can also prevent the survey from being completed fully, as the pipe is left inaccessible. How Much Does a Drain Survey Cost? The cost of drain survey will change depending on the size of your property. For domestic properties, we tend to charge by the bedroom. The number of bedrooms in a property is usually a good representation of the size and complexity of the property’s drainage system. Our team of engineers will always be upfront about the cost of our drain surveys. For more information on the cost of a domestic CCTV drain survey, get in touch today. In addition to domestic properties, we can also deliver reliable commercial and industrial CCTV drain surveys in Chelmsford. The pricing of these services will often depend on the square footage of your property. Before we begin our CCTV drain survey, we will arrange a price with you to ensure that you aren’t left surprised by the cost of our services. In addition to complete drain surveys to identify existing problems, we can also provide home buyer’s drain surveys. Purchasing a new home or commercial property can be exciting, and it’s easy to forget some essential checks. If you’ve recently purchased a new home, the last thing you want to deal with is repairing damage to the property’s drains. Many home owners don’t care about their drains like they should – as such, it is often left to the next owner to deal with the issues they’ve caused. Thanks to a detailed home buyer’s drain survey, you’ll be able to avoid any nasty surprises. These issues can be extremely costly and cause serious problems if not dealt with as quickly as possible. Home buyer’s drain surveys are an essential part of purchasing a new property. If you need a mortgage to purchase your new home, it is extremely important that you conduct a detailed home buyer’s drain survey. Your bank or mortgage company will be unwilling to invest in any property if they don’t have access to all the information. Here at CDS, we can provide a complete range of drain surveys to suit our clients’ needs. We can identify all kinds of issues with domestic, commercial and industrial drains. Whether you’ve already started to experience issues with your drains, or you want to identify potential problems before they develop, get in touch with our team today. You can reach our team of drainage specialists today by calling us directly on 0800 234 3624. If you prefer, you can also email us directly at info@certified-drain-services.co.uk and we’ll get back to you as soon as we can.